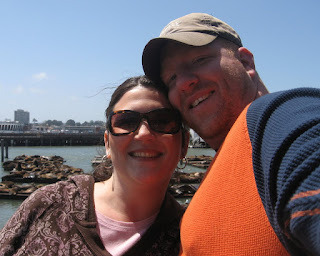 Jon and I spent all day Monday at the piers in San Francisco. We really enjoyed ourselves, there was so much to see! 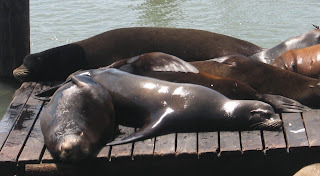 We got to see the seals that sun themselves on the docks next to Pier 39, there must have been like 200 of them. They were so loud and kept slapping each other around, we could have watched them for hours! We also liked also the little shops in Pier 39 including a bath salt place that had different salts in bulk in barrels, they were so fragrant. It was fun to fill your own little bag with each scent and make your own creation. We brought some home for Delaney because she loves her bath to fizz and smell good. We got to see the Boudin's Bakery that is famous for their sourdough bread. You can stand and watch them make bread into animal shapes and such, it's really neat. 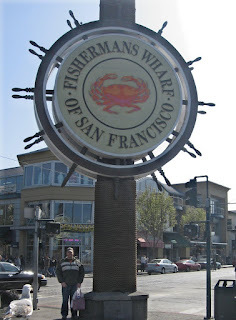 Fishermans' Wharf was cool because the smell of fish was very prominent like 6 blocks away before we saw the signs or boats or anything. What a very bustling place! I loved watching all the people, and I had a fantastic time with my hubby! After we drove away from the water we headed downtown to find the Wells Fargo building and after a few mishaps we finally found it. It shockingly was bigger than Cle Elum's branch and had an old stage coach in it. 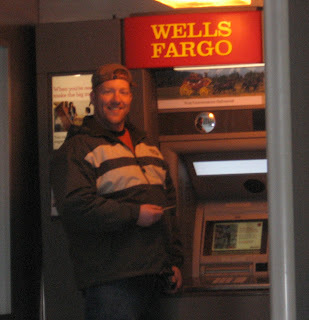 We could only get a pic of Jon at the atm but that's the "headquarters" in San Fran. 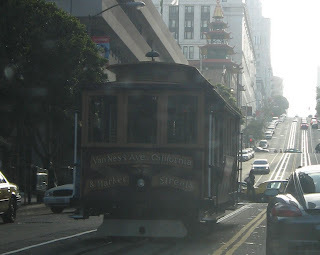 While waiting for Jon and double parked I saw a trolley car and that was exciting to me!! 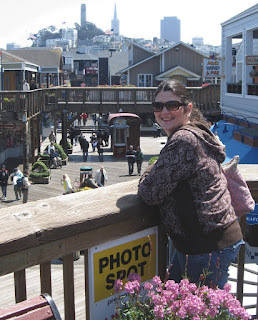 San Francisco is a great city and we can't wait to go back because there is so much more we want to explore. How fun, I'm glad you guys got to go and have such a fun time!! How wonderful you both had so much fun! I can remember back to 1977 when Jon's Dad and I lived in San Mateo for 6 months. Jon from age 6 weeks to 7 months old. You traveled all over San Fran with us in a backpack & loved it!!! This is May 2007. Zach had just won the Columbia Basin League's 3200-meter championship in 9:59 (his PR is 9:57). I had absolutely no space on our old camera, but was able to get most of the awards ceremony. Really proud of that guy. Addy Bear in the bathtub at around 9 months old or so. Both girls in the bathtub the same night. So cute. Adelyn's first birthday party, Aug. 2008, complete with balloons that she loves. The girls still love their balloons. Adelyn Blair just being cute with her sister Delaney. Just cute lil' sisters! Fall 2008. 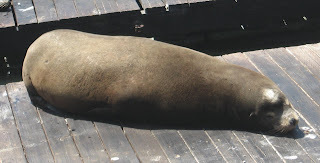 This is Jon. 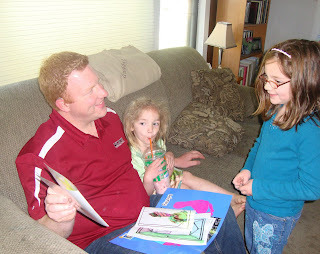 I've been beind on my blogging the past few weeks, but it's just because like every family starting summer break from school, we've been pretty busy. We graduated Adelyn from her toddler bed to a full sized bed two weeks ago. Her long legs were cramping the toddler bed so it was time for a change. She immediately took to it. Here, the girls are celebrating I guess with the new addition. And this is how Addy Bear celebrated later that night.